The challenges of Industry 4.0 and IoT require all future industry devices and solutions to become communicable. On one hand, IT requirements are increasingly merging with factory automation, on the other hand, processes and procedures demand "real-time" capable communication possibilities. 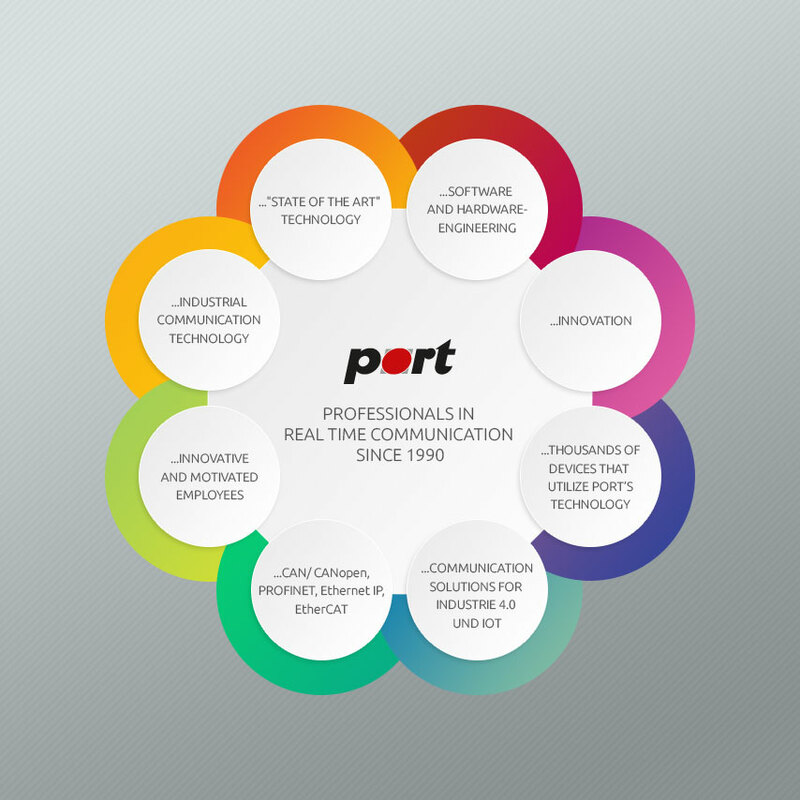 The realtime communication platform GOAL, developed by PORT, offers scalable multi-protocol solutions such as PROFINET, EthernetIP, EtherCAT, CANopen, PROFIBUS and ModbusTCP. Extensions like DLR (device-level-ring) are also available, depending on the type of processor. EMTRION will integrate GOAL into its products and offer it optionally. Ramona Maurer (CEO, EMTRION): „In cooperation with PORT, we are taking a major step towards IoT and Industry 4.0 applications. As GOAL royalties can be supplied optionally for every embedded hardware, the entry barriers for our medium-sized customers are very small. Particularly interesting are the protocols available on an embedded module, such as PROFINET, EthernetIP, EtherCAT, MODBUS TCP and CANopen." EMTRION and PORT continue providing a very helpful tool chain (design tools) for simple and efficient configuration of fieldbus systems. 3 different SBCs (single board computers), based on processors (oder controllers?) from ATMEL (SAM), RENESAS RZG and RENESAS RZN1D, will be launched together with GOAL by the end of the year.